So, the president pardoned two turkeys today, named “Gobble” and “Gobble” apparently. Who writes this stuff? The country slaughters near 60 million birds and sparing these two is supposed to make it all okay? Don’t get me wrong, next to chicken and salmon, turkey flesh is one of my favorite animal protein sources. What I am suggesting is that the Wednesday before Thanksgiving should be designated as another national holiday in which everyone who plans on eating turkey on that special Thursday must find and hug one first. Think about it. The amount of calories spent in this endeavor should just about equal that which will be ingested by the glutton. I’m not sure which of my favorite ideas for a new national holiday will catch on first, this one or my idea for a national “punch a weatherman in the face” day. Happy Thanksgiving. 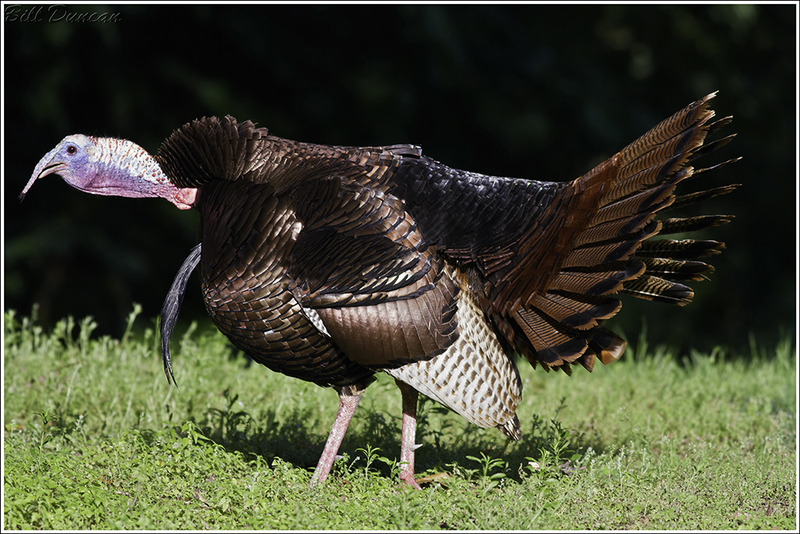 -During the 1930’s the Wild Turkey population was estimated to be less than 30,000 birds. Through hunting regulations and habitat management there are now between 5-10 million birds in this country.